The Glass Mosaica Smoke Grey Marble Mix is the perfect tile for your home. 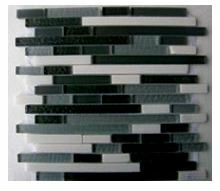 It comes in a gorgeous design and consists of different stripes of white, grey and black mosaics. The Glass Mosaica Smoke Grey Marble Mix tile is available in a standard size of 303x303mm and is sold per piece. It is an indoor wall tile which is suitable for bathroom walls, laundry walls and kitchen splashbacks. It can also be used in feature walls to create wall borders. This mosaic is all about amazing looks. 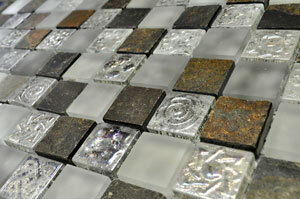 Its mix of stipple glass, polished stone and gloss glass makes it look highly decorative. And thanks to special design, its interlocking edges offer a neat and modern finish even when cut into smaller strips. Although affordably priced, Glass Mosaica Smoke Grey Marble Mix mosaic offers many qualities of a superior grade tile. It exhibits top notch manufacturing and is built to last. It will retain its amazing looks and surface finish even several years after installation. 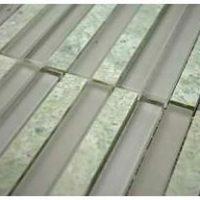 For gorgeous mosaic tiles in Perth, you’ll find nothing better than the Glass Mosaica Smoke Grey Marble Mix tile at Ross’s Discount Home Centre. 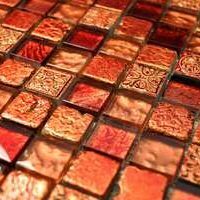 Buy this decorative mosaic at the best price from our online store today!